PCGS eCollector | Happy Birthday Pan-Pac! 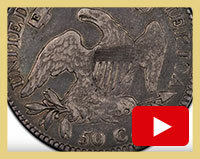 Instant Access to Information on Type One Double Eagles! 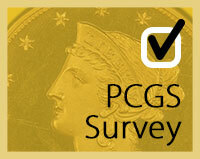 Do you collect any PCGS-specific coin memorabilia? 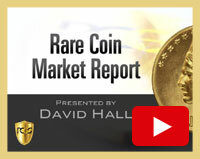 2015 marks the Centennial of one of the great Expositions of the early 20th century, and one of the greatest commemorative coin issues the U.S. has ever undertaken. How did this piece survive in its fresh and near perfect condition for 201 years? The eye appeal is like the quality – sensational! 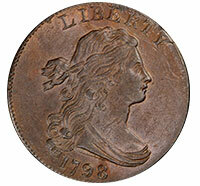 Only record of one of these coins selling at auction was in 2014. 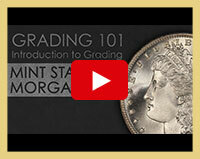 This is a must-watch video for collectors of Morgan Dollars. Review the key elements for grading MS Morgans with high-impact images ranging from MS60 to MS69. Standard reference books become outdated. But DoubleEagleBook.com updates each year, with no need to buy new books. 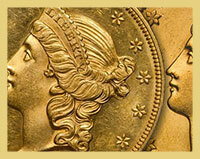 Packed with research and photos, this reference site is perfect for coin geeks. Plus, it’s free. No subscriptions, no emails, and no books to lug around. 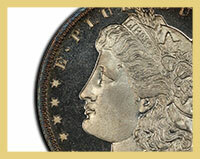 This 1895-O $1 PCGS MS65 is from the Coronet Collection. It is one of the few toned pieces offered from the October 15 Auction. Auction is now live and available for bidding at LegendAuctions.com. 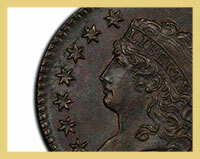 L&C Coins Do you collect any PCGS-specific coin memorabilia?